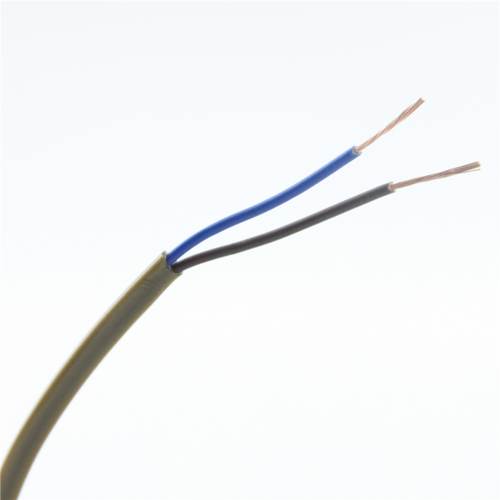 3 Amp Brown & Blue H03VVH2-F2 Light Duty Flexible Flush Wire for Indoor uses up to 300V mainly used in Decorative, Vintage and Stately Buildings Lighting to Provide a Traditional Look and Style where an Earth is not required. Perfect for the job - great value with cable clips. Both arrived promptly and together. Would use again.